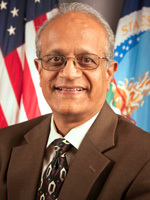 Sonny was appointed to serve as director of the USDA’s National Institute of Food and Agriculture (NIFA) on May 7, 2012. As part of USDA’s Research, Education, and Extension mission, he oversees NIFA awards funds for a wide range of extramural research, education, and extension projects that address the needs of farmers, ranchers, and agricultural producers. Prior to joining NIFA, Sonny served as dean of Oregon State University’s College of Agricultural Sciences and director of the Oregon Agricultural Experiment Station. He provided overall leadership for the college’s academic programs at the Corvallis campus and OSU programs at Eastern Oregon University in La Grande, for-credit extended education, informal education through the Agricultural Sciences and Natural Resources Extension Program, and research at OSU’s main campus and 11 branch experiment stations throughout the state. Previously, Sonny was associate dean of the Purdue University College of Agriculture and directed the universities agricultural research programs from 2006 to 2009. Prior to joining the Purdue faculty, Sonny was head of Kansas State University’s Department of Entomology from 1997 to 2006, where he held the title of Distinguished Professor and was named the Presidential Outstanding Department Head in 2002. He also served on the faculty of Mississippi State University and as a research associate at Michigan State University. As an insect physiologist, he worked on the integrative reproductive biology of insects. Sonny has received research grants from many federal agencies, including USDA, National Science Foundation, National Institutes of Health, Environmental Protection Agency, and the United States Agency for International Development, as well as from state agencies, commodity groups, and industry. He has published nearly 150 journal articles, book chapters, and a book. He has received a number of awards and honours as a scientist and department head, including being named a Fellow of the American Association for the Advancement of Science; Fellow of the Entomological Society of America; and Distinguished Graduate Alumnus of Cook College, Rutgers University. He received a Bachelor of Science in agriculture and a Master of Science in entomology from the University of Agricultural Sciences, Bangalore, India, and his doctorate in entomology from Rutgers University. He is also a graduate of the University of Nebraska’s New Academic Chair’s Program and Harvard University’s Management Development Program.